On Thursday, 29 March, at around 16:30, the owner of the Licorwa apartments was contacted by one of the tenants, saying that a taxi had driven through the premises’ wall. It seems as if the taxi driver was travelling towards the De Wet – and Joubert Street intersection. A Volkswagen was travelling in Joubert Street, approaching the intersection from the right. 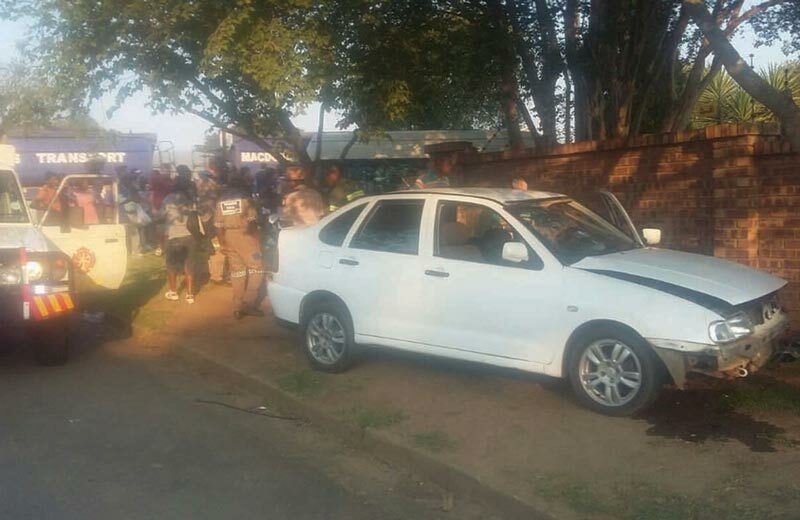 It is alleged that neither of the drivers stopped at the Joubert – and De Wet Street four-way stop. According to the police report it seems as if neither drivers attempted to slow down to avoid a collision, as there are no visible brake marks on the road. It is unclear whether the vehicles collided in the intersection. The Volkswagen came to a standstill on the sidewalk and the taxi went through the wall and came to a standstill in the yard of the complex. 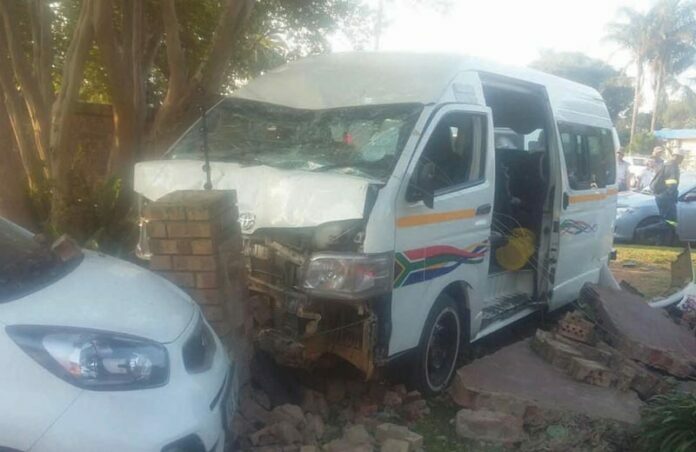 When the taxi collided with the wall, it pushed a section of the wall into the yard and collided with a tenant’s car, causing serious damage to the vehicle. According to the owner of the wall, about R13 000-00 worth of damage was caused to the wall. Motorists are once again urged to always stop at stop streets and red traffic lights as this is a big problem in town. If you did stop at a stop street or red traffic light and it is your turn to drive, keep an eye on the other vehicles. If it seems as if an oncoming vehicle is not slowing down, rather wait a few more seconds to see if the driver will stop. It might, by law, be your turn to drive, but if an accident occurs, the law will not ensure that your vehicle or a person is not harmed by a reckless driver.